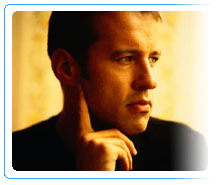 Learn about hair loss treatments currently available. Become familiar with hair loss terminology. Currently children's hair loss is responsible for approximately 3% of all pediatric office visits in this country. Read More ..
Future hair loss treatments will include new methods such as hair follicle cloning and gene therapy. Read More ..
For the right candidate hair transplant surgery can significantly improve your appearance and general sense of well being.Read More .. According to The Washington Post, American hair loss sufferers spend more than 3.5 billion dollars a year in an attempt to treat their hair loss. Find out which treatments work. 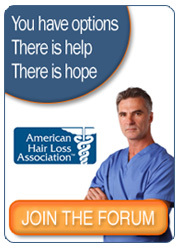 Visit The American Hair Loss Association Blog to ask your hair loss questions and read the latest hair loss news.